Atlanta-based Moe's Southwest Grill is opening another downtown Atlanta location. Already with locations within CNN Center, Peachtree Center and on Broad Street near Georgia State's Aderhold Learning Center, a fourth will be added at the Renaissance Walk apartments near Auburn & Piedmont Avenues. As best I can tell, the space in which the burrito joint will open is the same space once earmarked for Crescent Moon. The local eatery posted a sign announcing its opening in 2008, but never actually opened. Around the corner on the Auburn Avenue side of the complex. Sweet Auburn Bistro closed in mid 2010 for a "renovation," but never reopened. The fast casual burrito chain is opening alongside smoothie chain Smoothie King, which has been open for a number of years. A newer addition to the complex was Pizza Hut, which opened late last month. While small chains like Pizza Hut and Smoothie King have fared well thus far, the complex has not been as kind to local operators. Twin concepts One Café Blanc and Yoeshi both closed in the complex not long after opening. The two concepts, operated by the same owners, offered anything from sushi to crepes, burgers to salads, and even burritos. Interestingly enough, One Café Blanc's management said ahead of its opening, "One Café Blanc is influenced by concepts like “Moe’s” (assembled burritos)." Since my graduation from Georgia State in 2010, a lot has changed, and based on a recent trip down memory lane, student life seems as least a little more vibrant in the area. A total of five student housing units are within a couple of minutes walk of the upcoming Moe's, where thousands of students pass by each and every day, to and from classes. Smaller, (but better, IMHO), Willy's Mexicana Grill has two downtown locations, one within Peachtree Center and their newest, at the GSU Petit Science Center at the corner of Decatur Street and Piedmont Avenue. Though not as frequented by GSU students as I think it could or should be, the Sweet Auburn Curb Market, also not far from the many GSU dorms, is home to yet another burrito option. Bell Street Burritos' original location is still in the Curb market and offers "Mission Style" burritos. Are you a current of past Georgia State student or professor? Where did you enjoy grabbin' a bite downtown? 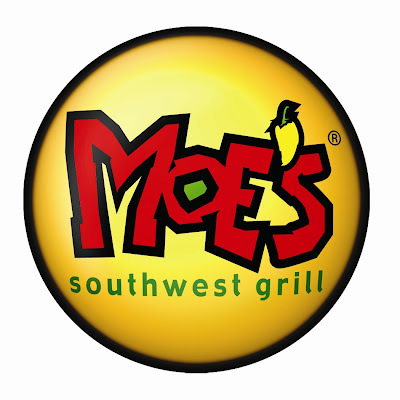 Do you think Moe's will succeed? Moe's, Willy's or Bell Street, who do you roll with? If I'm heading up Piedmont to eat, I am definitely going to Sweet Auburn Curb Market...I'd rather pay more for Bell Street Burritos than Moe's, sadly they're about last on my fast burrito list. Willy's isn't bad, the one in Petit is kind of small but the people who work there are ridiculously nice. It amuses me that it seems busier in there at times when classes are going on, which thankfully keeps me from eating guacamole two times a week. Over by Aderhold I go to Naanstop almost exclusively anymore. I was thinking about there being four Moe's downtown and thought that was a lot. I later remembered there are at least six Subway restaurants within the same couple mile radius. So much repetition, sad.